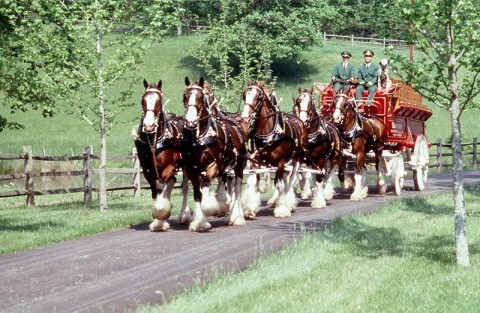 Clarksville, TN – Budweiser of Clarksville, and Budweiser of Hopkinsville, part of the Hand Family Companies, have arranged for the famous Budweiser Clydesdales to visit Fort Campbell Kentucky on Saturday, June 9th from noon-3:00pm at the Fort Campbell Exchange. 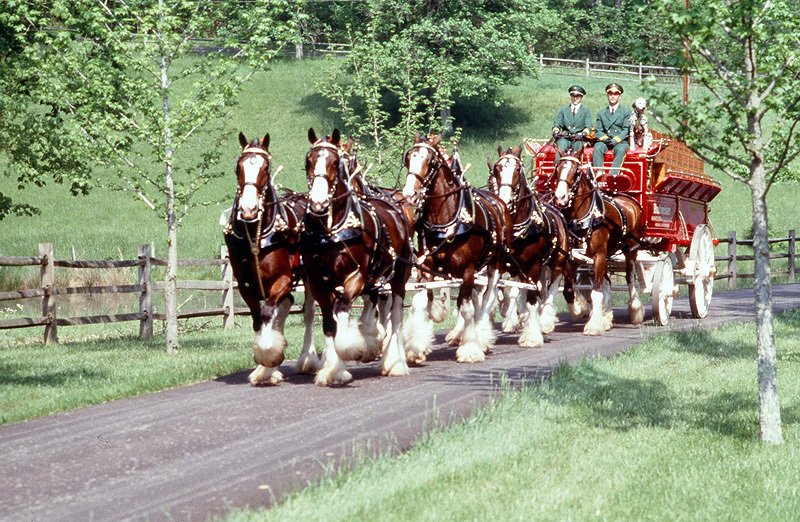 “The Clydesdales are the best-known symbol of the Budweiser brand and we are bringing them to Fort Campbell in support of Budweiser’s partnership with the Folds of Honor Foundation,” said JR Hand, President and Chief Operating Officer of Hand Family Companies. Budweiser has agreed to donate $5,000 for every walk-off home run during baseball’s 2012 regular season to the Folds of Honor Foundation, which provides post-secondary educational scholarships for families of U.S. military personnel killed or disabled while serving their country. In addition to the “Walk Off a Hero” program, Budweiser will contribute a portion of all sales from May 20th-July 7th, 2012, in an effort to raise $2.5 million for FHF. Last year, Budweiser contributed $2 million to FHF by donating a portion of sales and $100.00 for every home run hit during baseball’s regular season. Since its creation in 2007, FHF has provided more than 2600 scholarships to recipients across the country. FHF is a 501(c)(3) charitable organization with the mission to empower deserving military families with educational support and opportunities. Their unique scholarships can be applied to schooling now or held by FHF on behalf of young children until needed at the time of enrollment.